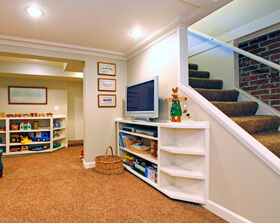 As experienced contractors, we can put the finishing touches on your basement to transform it into a usable space. Now that your basement is waterproofed and guaranteed to stay dry, why not have us refinish the walls, install ceiling tiles and put in flooring so you can get more use from it? If you’re thinking of finishing your basement as an extension to your home, that last thing you want to do is look up and see exposed rafters or pipes! By simply adding a few key elements to your basement, you can change it from a creepy cement cellar to a functional and beautiful space for you and your family. When it comes to basement refinishing, you need an affordable contractor with years of experience to trust with this investment. After Now Dry waterproofs your basement and adds beautiful paneled walls, why not top it off with a new drop ceiling? When it comes to turning your basement from a storage area to a comfortable, warm, happy and cozy living space, ceiling tile helps buffer the sound and it keeps heat from escaping upward into the next level of your home. Now Dry is happy to provide a quote for this additional service. 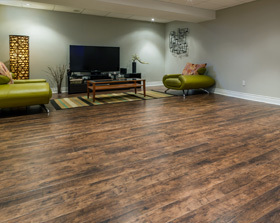 Now that your basement is protected from flooding, you can safely install the flooring of your choice. Cement floors were fine when your basement was just used for storage and laundry. Now that you're considering a new play area for the kids, an entertainment area for guests or possibly an exercise room, you'll need flooring that complements your planned used for this space. Whether you prefer carpeting, wood or rubber tiles, we are happy to add new flooring to your total basement remodeling package. Our experienced team can provide a quick and affordable installation of new basement flooring for your home that complements its aesthetics. At Now Dry, we’re passionate about the safety of your home as well as how it looks! Ready to give your basement a facelift? Call Now Dry! 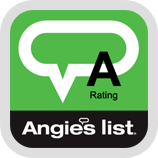 We provide free estimates for professional basement refinishing services for Michigan homeowners in Fenton, Berkley, Ferndale, Royal Oak, Birmingham and the surrounding areas. On time, very friendly, nice workers, fast and complete, good clean up and finish work.